Hall of the Mountain King: Review: Sweet and Lynch, "Only to Rise"
Since I started this review with a little negativity about Sweet, I’ll move to the meat of it by giving him credit for some incredible performances, most notably on Lynch and Sweet’s “Time Will Tell.” It’s a soaring, galloping number that wouldn’t have been out of place on a classic Stryper album, and the harmonies on the song are absolutely incredible. 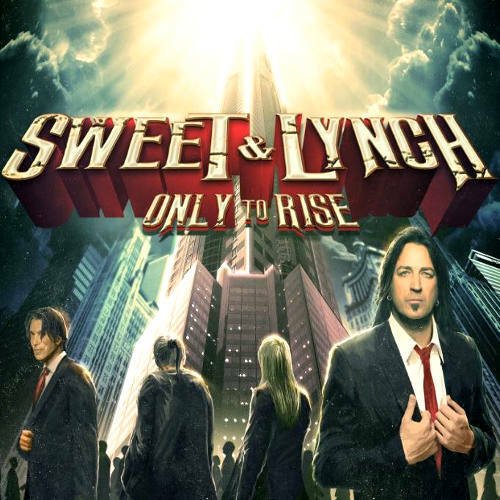 Sweet and Lynch do a nice job, too, of mixing things up on Only to Rise. There are the expected ballads and soaring pieces, but there are also some grimy rock and roll moments. Give Lynch credit for being able to shift with the flow on a song like “Rescue Me,” which opens with a rowdy, blues-smeared heavy guitar and organ piece, but makes a shift right into Sweet’s wheelhouse on the verse. 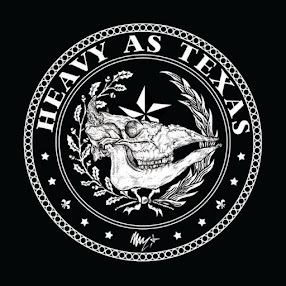 Michael Sweet then plays against type a little on “Divine,” which features the absolute nastiest grooving riff in a collection of great ones from George Lynch. At first, I felt like the lilting chorus took away a little of the punch, but with more listens, it started to grow on me. It has some great harmonies, and when that smoking Lynch riff kicks back in before the verse, it’s like a gut punch. It’s Lynch’s raunchiest playing overall on Only to Rise, and easily one of the highlights. “Strength in Numbers” grooves in a different way. Though the main melody is synth heavy, Lynch and Sweet manage to keep it from losing any of its toughness because of that. There’s an almost exotic feel to the tune and that synth line proves to be a great hook. Another favorite of mine is second track “Dying Rose,” which takes another turn for the duo. This one has a little of a King’s X feel to me, which may not be that surprising considering another recent Lynch project was KXM with Dug Pinnick. The tune has a great feel, and a completely infectious chorus that you’ll be humming hours later. “September” will likely remind many listeners of Iron Maiden’s “Wasted Years” in the early going. The chromatic riff from Lynch as Sweet “ooooooooooooohs” over it is very reminiscent of the classic tune. Once things get going, though, there’s more of a Stryper feel on the song, which deals with 9/11 lyrically. It’s got another big memorable chorus working for it as that opening riff comes back, and by the end of it I’m won over. The same could be said of Only to Rise as a whole. I went in expecting not to like it that much, but after a few listens, I was completely won over. It’s a really nice collection of tunes that features some driving 1980s-influenced rockers, some nasty grooves and even some more artsy touches at times. George Lynch delivers some fantastic riffs and licks, and this might well be my favorite performance of Michael Sweet’s career. Lynch and Sweet work together very well, and I find myself hoping that this isn’t a one-off project.